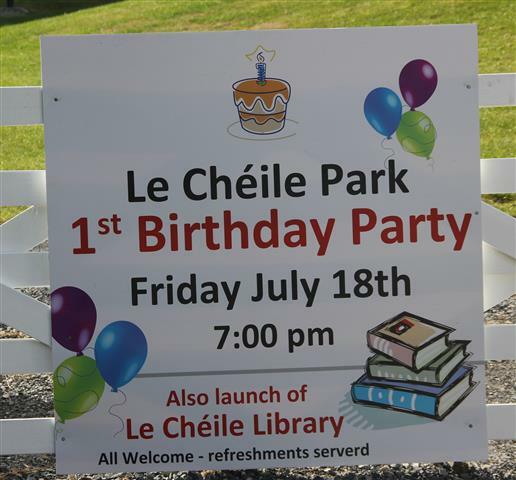 Be sure to come along to Le Chéile Park this evening at 7 to celebrate the 1st birthday of Le Chéile Park. There’ll be a cuppa and some birthday cake. 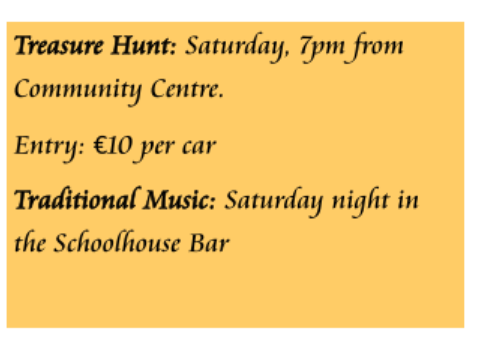 Also there will be the official launch of the new Le Chéíle Library. 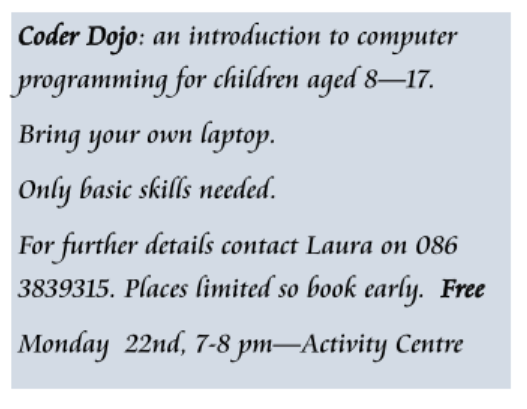 This library works on the basis of Bring a Book, Take a Book, so you bring a book, suitable for any age or of any genre, and you leave it in the library. You then choose which book you’d like to bring away with you. 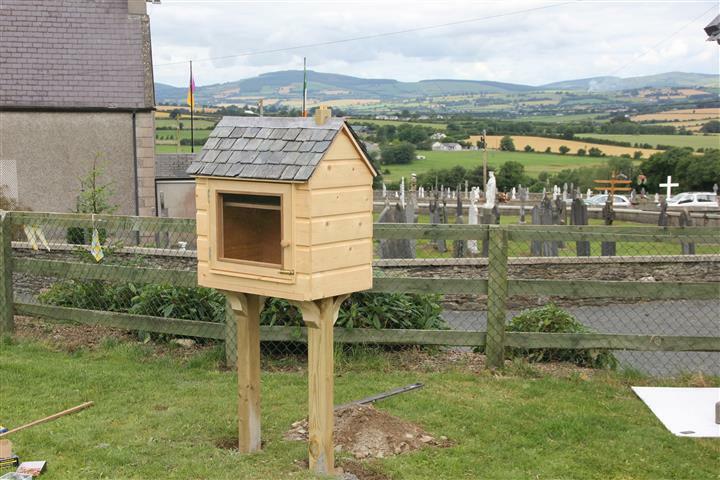 Or you can read in the park and replace the book when finished. 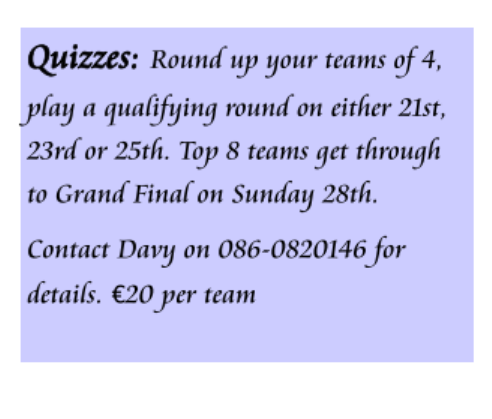 This is also the launch of Féile le Chéíle 2014, which continues all next week with quizzes, car treasure hunt and of course, the Wedding of the Year on Friday July 25th. 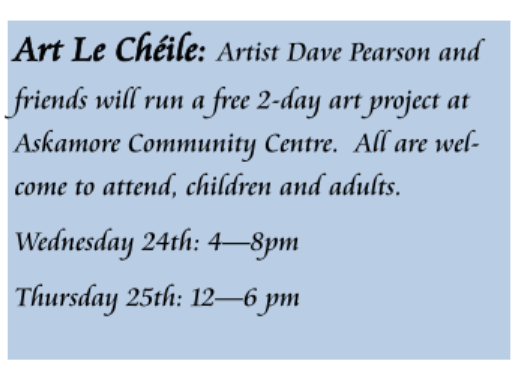 While Askamore Community Council had hoped to open Le Chéile Park on Friday, June 28th, this has now been postponed until Friday, July 26th. 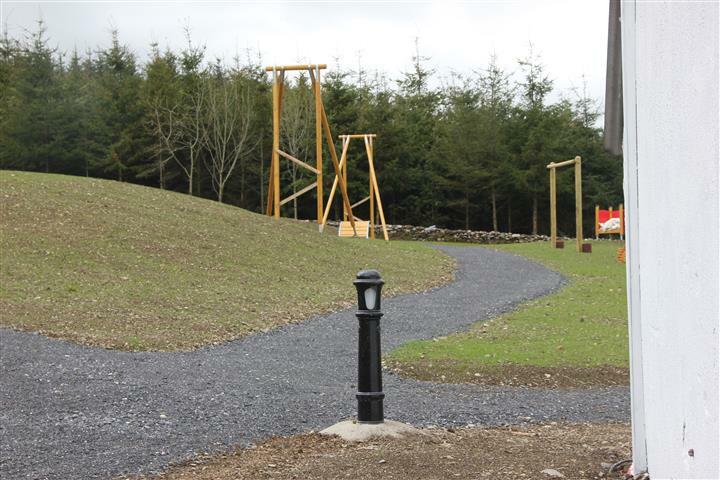 The poor weather has significantly slowed the grass growth and the playground area in particular needs extra time for the grass to take. It is hoped that the park will actually be open earlier than July 26th, but that date is now the official opening date. We apologise for any disappointment in the delay, but this is our only chance to get things right and have everything safe within the park for our visitors.